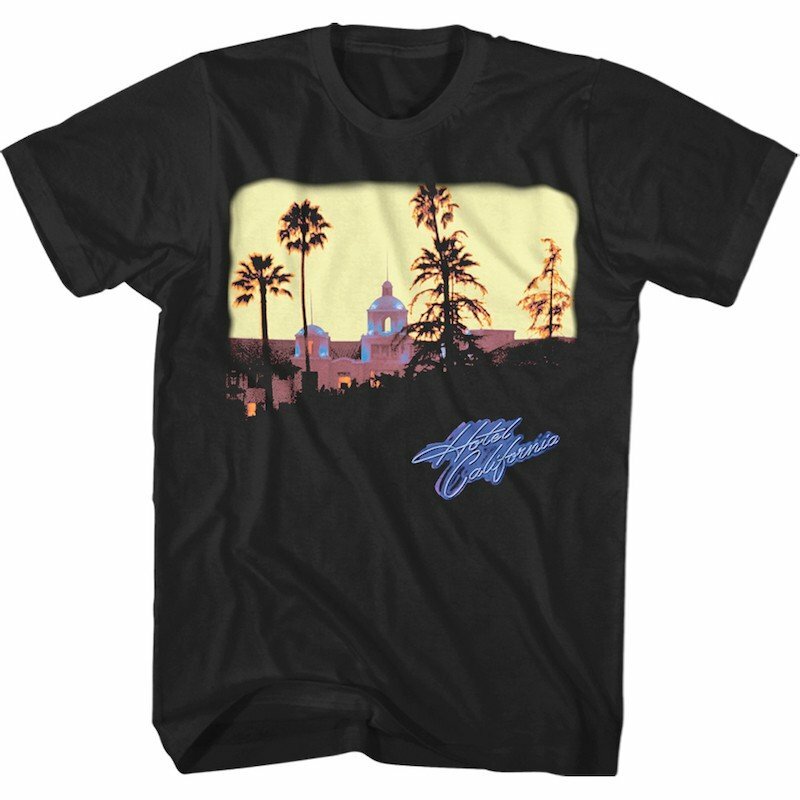 Black T-Shirt features cover art of the Eagles’ landmark album, Hotel California on front. Gildan brand 100% preshrunk cotton. Please note: the back of the t-shirt is blank and does not include tour dates or cities.